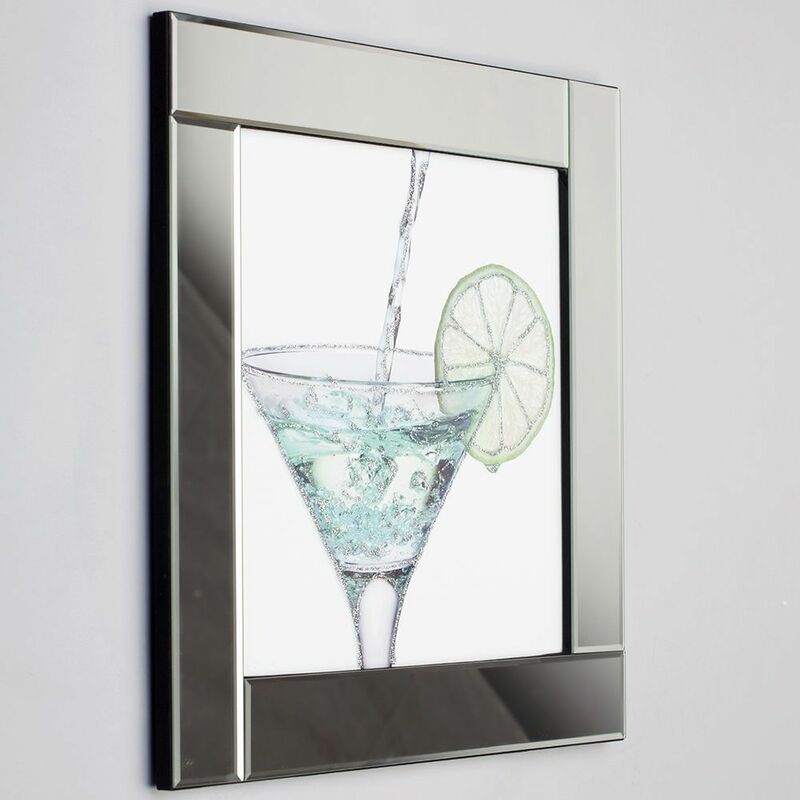 Few things manage to bring a sense of class and elegance into an interior quite like a piece of magnificent artwork does, and there’s no better way to showcase that art than in a truly stunning frame, and with this brilliant Square Mirror Picture Frame with Glittered Cocktail Glass Illustration – Silver, you get both! 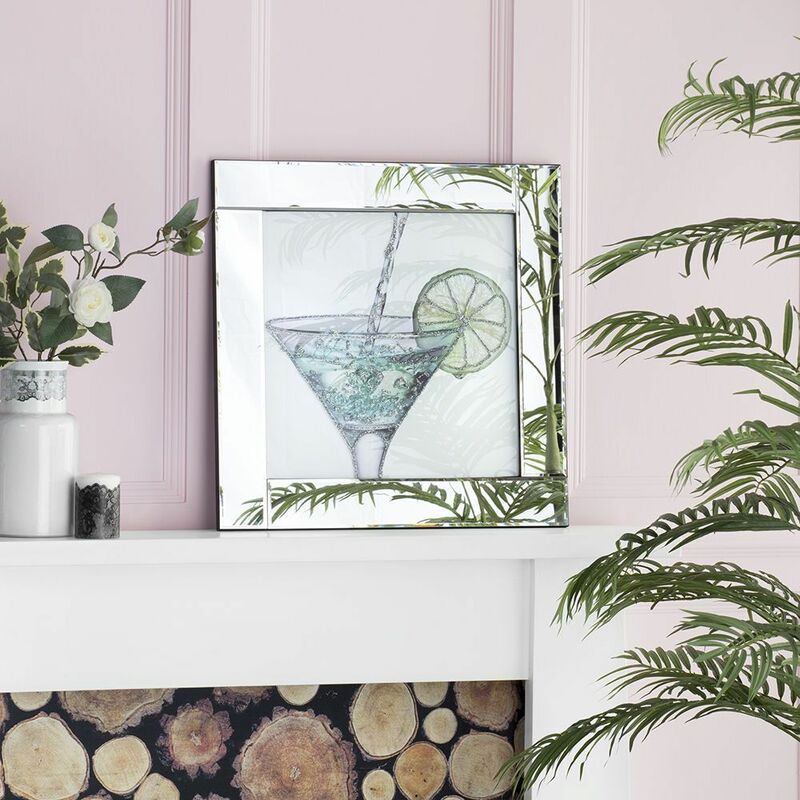 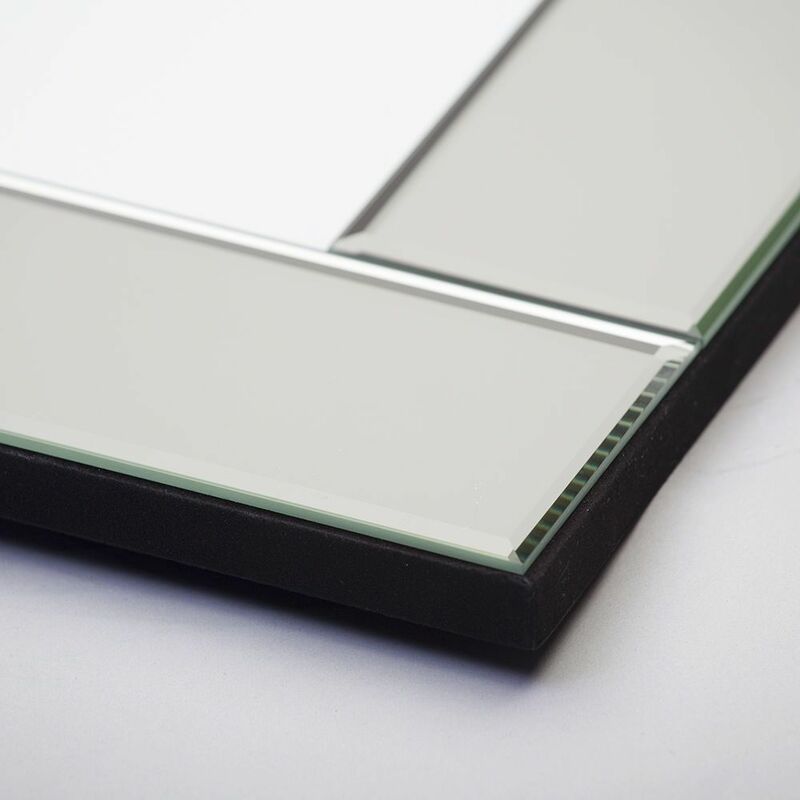 The design of this piece is simple; it is just a standard squared mirrored picture frame with an image in the centre, but the effect that this piece brings to an interior is one which creates a beautiful sense of calmness and sophistication, and this resonates throughout the room to produce a wonderful atmosphere across your entire home. 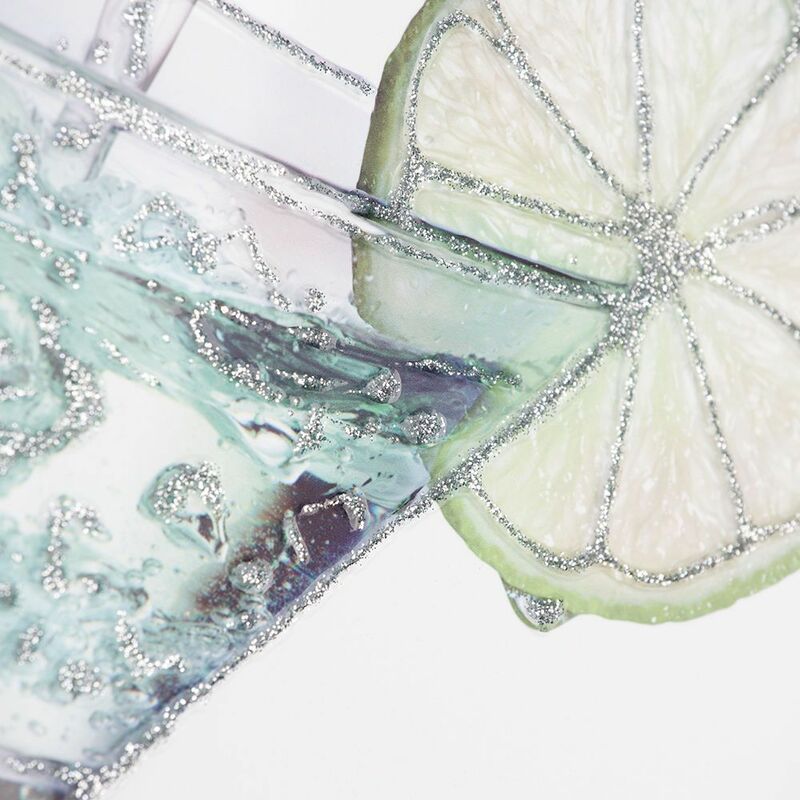 The image inside the frame depicts a cocktail glass with a lemon slice, and has a glitter effect highlighting the splashing effect of the pouring cocktail. 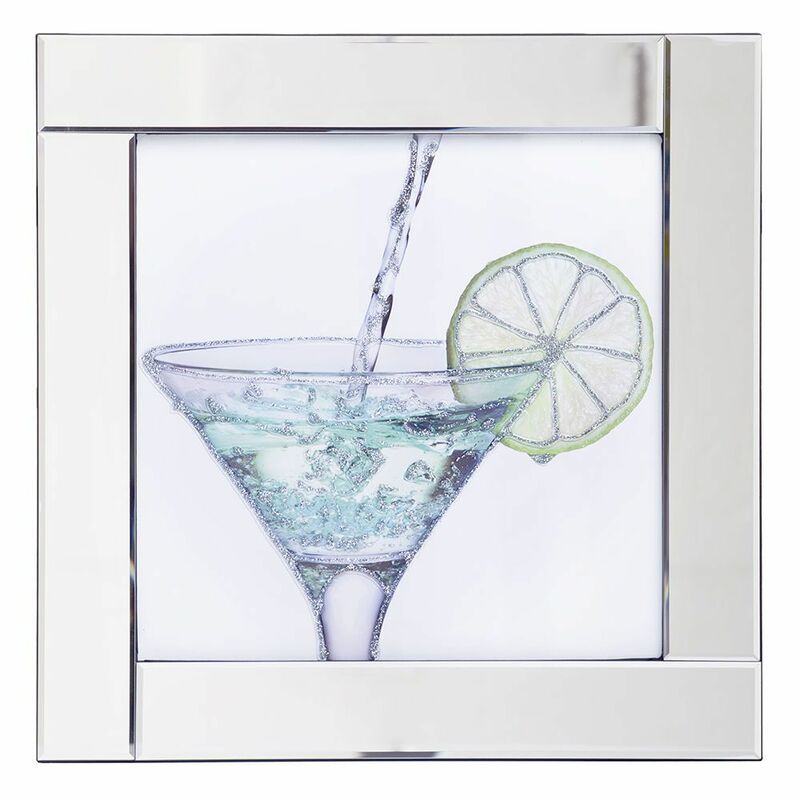 This produces a look which has a true feeling of elegance and brings a wonderful feel to your home and the décor within the room.